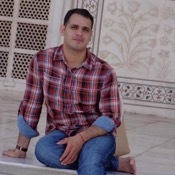 Local Private Tour Guide | Jaipur, India | Sameer saran S.
Hello travelers Namaskar, Namaste, Namaskaram. . . !! The meaning of three words is same "I do respect and bow to the soul enshrined in your body which is similar to mine irrespective of physical appearance ". I work as a tour guide, appointed by the Ministry of Tourism & Culture, Government of India. Born in a typical Indian village of one of most colorful state of India Rajasthan. I have done my education in different cities of this great country, completed graduation and Masters in Sociology from University of Rajasthan( Jaipur) while Masters of Tourism Administration has been done from Himachal Pradesh University, Shimla. & geographical perspectives of land and its people. Born in a joint family where discipline & punctuality are highly important things. These two became key things of my personality and always helps me to grow as a tour guide. Always happy to welcome my travelers, who comes as travelers but goes as nice friends. I have consistently given services to the various renowned travel companies like Kuoni India, Sita India, TCI and many more as well working as a freelancer. I am an enthusiastic explorer who likes to travel whenever gets free available time. Same way like to work with those travelers who would like to experience history, Culture, traditions, art &crafts and many more. At present I am working in Pink city, Jaipur but happy to guide my dear travelers in various cities like Delhi, Agra, Jodhpur, Udaipur. Although I do have wide range of tours available for travelers in addition to available tours happy to make personalized tours whenever travelers ask for it. My hobbies are reading books, watching movies mainly Bollywood and interaction with people. Having a strong belief that work is worship and guests are like God. Jaipur which is also famous as Pink city. 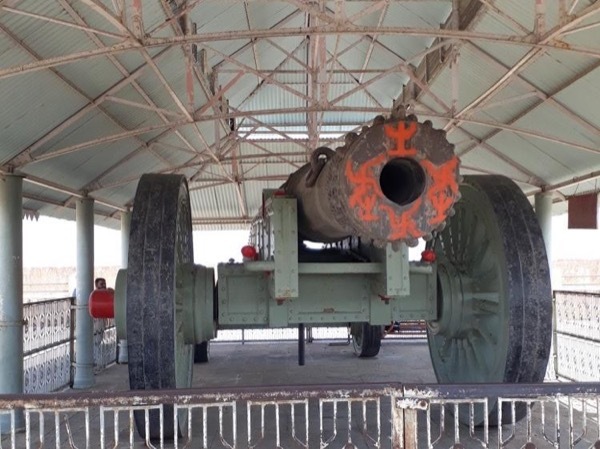 Founded in 1727 AD by Maharaja( King) Sawai Jai Singh -ll. The first well planned city of India which is based on geometrically, astrological patterns. City has rich history which has a balance of chivalry, diplomacy having vibrant culture, several fairs and festivals celebrated through out the year. Jaipur city buildings are beautifully, uniformly painted in pink color since 1876 that's why it's called pink city. 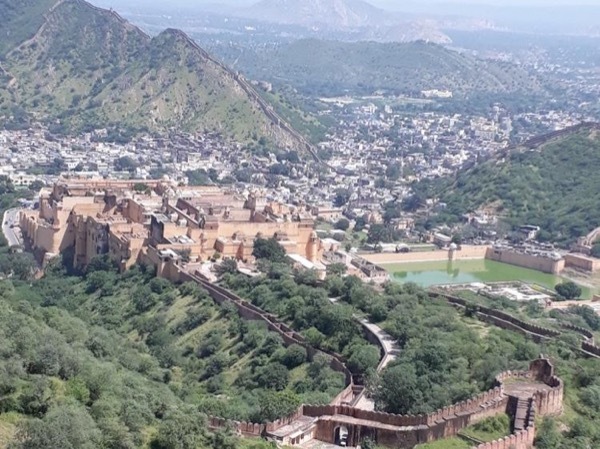 So much to see here like beautiful Amber fort &palace, massive Jaigarh and panoramic view having Nahargarh. 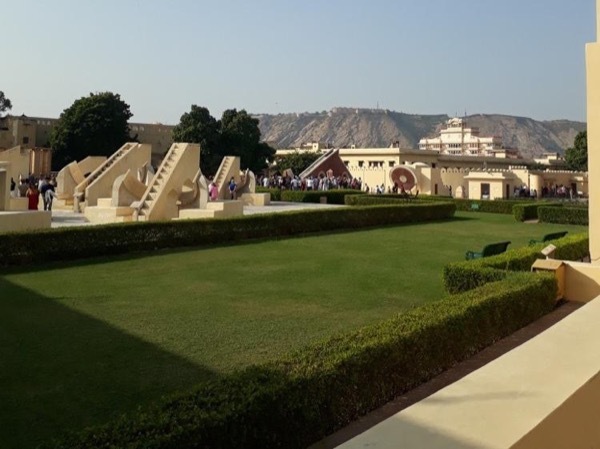 One amazing astronomical observatory ( Jantar-Mantar) build in 1728 with a vision to have instruments to calculate time, horoscopes things and nice city palace museum . Bazaar ( markets ) with wide lanes, great vibrant colors are great attractions. It's one of India's fastest developing city as well known as Gems capital of the world. At the end would like to give big thank to all of you who have invested so much time to read all details thoroughly. Eager to welcome you as my tourist. Guide licence from Ministry of Tourism & Culture, Government of India. Tour guide training program of 6 months in 2013 under experienced historians and vast experience tour guides. Tour guide training conducted by Sita India in 2015 under two tourism experts from Kuoni UK Mr. Paul linker and Mr. Darren Roper. Internship of three months in a big travel company called Le Passage to India. I am not a driver. I can accompanying you in vehicle of your choice which I can arrange for you with professional driver. In case of pick-up and drop, location of pick-up & drop point in city limits only if points out of city limits extra charges applies. Tours by Sameer saran S.